You should have your garage door thoroughly evaluated to ensure that all of the parts and components are functional and there is no damage. If your door is damaged, you should stop using it until the repairs have been made. 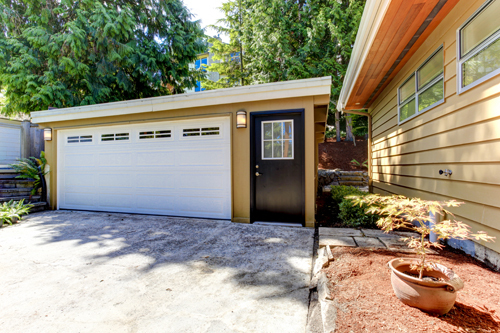 Always disconnect the garage door opener before maintaining the torsion spring. This is crucial since if someone operates the opener by accident, the spring will begin to unwind and release tension. This poses a major risk of injury. In general, the moving door can knock you down when you are standing on a ladder. You would want to remain perfectly safe throughout the whole maintenance process.